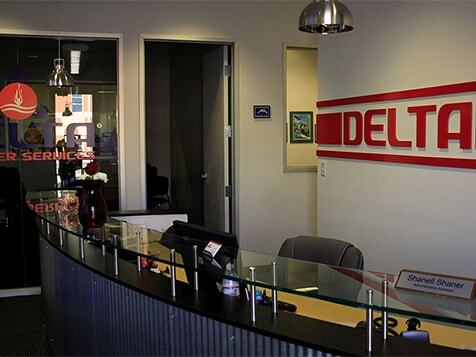 How do I buy a Delta Disaster Services Franchise? A true high performance franchise opportunity with real returns. Unlike others in this space, we are a true, one-stop operation with a unique, compelling, competitive advantage. Emergency services, complete reconstruction, contents, mold, and asbestos are just a few of the offerings provided to the insurance industry. Not only will you receive a proven system to succeed in the $200 billion insurance restoration marketplace, but you'll also receive outstanding, continuous support every step of the way. Sales and marketing? That's our specialty. Operations and outstanding margins? Our proven program will show you exactly how to hit your marks and keep business flowing. Inc. Magazine and Qualified Remodeler Magazine have consistently recognized our success story. 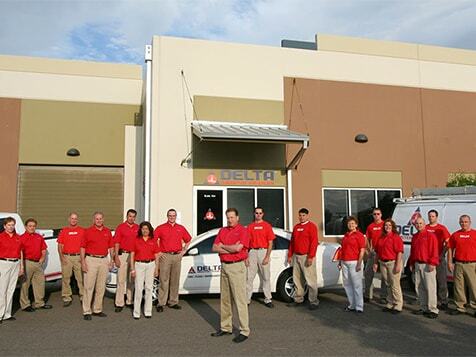 Learn more about becoming a Delta Disaster Services franchise owner today. Open Delta Disaster Services in any of these available states: AL, AK, AZ, AR, CA, CO, CT, DE, FL, GA, ID, IA, KS, LA, ME, MA, MS, MO, MT, NE, NV, NH, NJ, NM, NC, ND, OH, OK, OR, PA, SC, SD, TN, TX, UT, VT, WA, WV, WY. Founded in 2006, Delta Disaster Services is a full-service mitigation and reconstruction business with solutions ranging from boarding up a home after a devastating fire to removing water or sewage from a flooded basement. Although the company will take on any property-related damage, the majority of work is both commercial and residential water-related damage. *Units in operation for more than 24 months, 2015 Franchised units in operation for more than 24 months, based on a reporting period of January 1, 2015 through December 31, 2015 (2016 FDD, Item 19). Two of four franchised units attained or surpassed this average amount. A new franchisee's results may differ from the financial performances referenced herein. Delta Disaster Services of Southern Colorado has been awarded #1091for 2017 Inc. 5000 list. With 388% three-year growth and #23 of Top Colorado Companies, the Colorado Springs location is well deserved of the award. 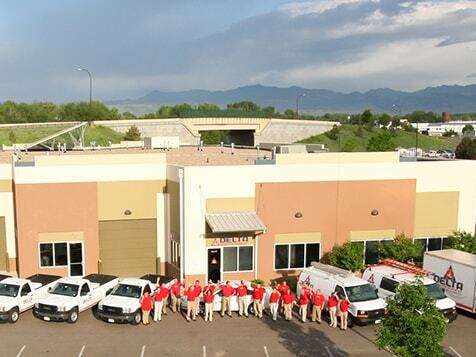 Starting August of 2012, with five core staff members Delta Disaster Servicesof Southern Colorado has grown to twenty-two staff members and the business is grossing $4.3 million in revenue annually. 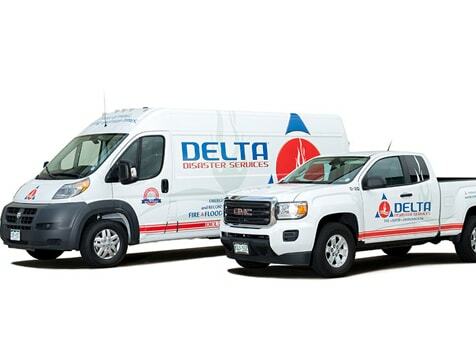 This is a momentous accomplishment for new franchise with the emerging brand of Delta Disaster Services. We believe in transparency and true ongoing training for our brand to be successful. We are one of the few brands with an operating corporate location you learn and train in while getting ready to open. We share with you live numbers from real jobs during your two-week intensive training, not theory based examples. After your training, we come to your location several times a year for continued support and training. All franchisees are able to send employees to training as well during the year at our cooperate location. This franchise opportunity is ideal for current business owners, operational or marketing professionals, or those looking to invest in a business with few limitations. We'll show you how to hire the right people to ensure success and to maintain steady, profitable growth. Many franchises are cyclical, fads or subject to discretionary income. Not Delta Disaster Services. When bad things happen to homes, people call their insurance company. Insurance companies call us. Disasters happen regardless of the economy, and when they do we're ready to provide emergency services and complete reconstruction. Learn about joining this recession-resistant, profitable industry. We only place one franchise per market, so don't miss out. Delta Disaster Services is not currently active in our directory, but here are some other recommended selections for you to explore.